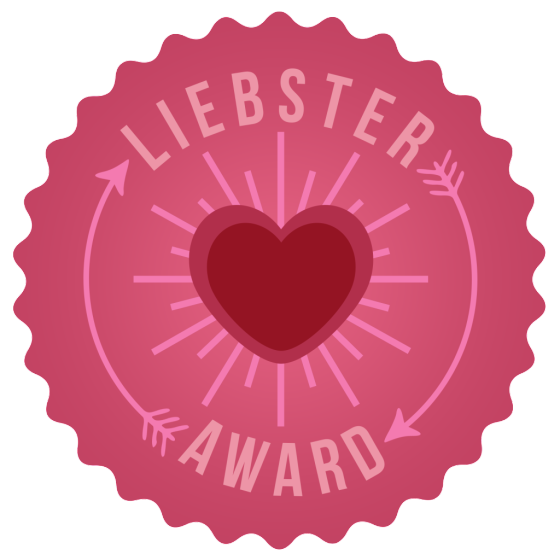 While I’ve been celebrating our one year Anniversary, Dee from Insight from a Women’s Heart has nominated the blog for the Liebster Award. Yea! Thank you so much, Dee! I’m honored to be in the wonderful company of all those who are speaking up to help make a better world! 1. What age would you choose to be for the rest of your life? That’s a tough one, if I could have my body from 22 combined with my mind from 42 – then I’d be a true force of nature (ha!) – But since I can’t, I suppose I would choose 38. That was the age when I finally stopped being so self-conscious and starting taking chances. And life has been a whole lot more fun since then! 2. What makes you lose track of time? I call myself a “spiritual explorer.” I love pondering life’s unanswered questions and trying to make greater sense of it all. In those awesome moments when I’ve actually tapped into an “A-ha” moment, I feel wonderfully alive and there’s honestly nothing that seems more important. 3. What makes you smile spontaneously? Babies and animals – and baby animals just put me completely over the top! 4. What is the bravest thing you have ever done? I had the opportunity to interview my teen idol crush Rick Springfield – but being shy by nature really had to work up the courage to do it. I trained for that interview like a person going to war, and in the end not only made the memory of a lifetime but also learned that I could challenge my fears – and win! Um, nope – I don’t think so. 6. If you were a flower what would you be? I think I’d be a gladiola because they’re beautiful, unique and stand tall at all times. 8. What is your “go to” advice for most situations? When in doubt, always use love as your guiding light. 9. What advice would you give to new bloggers? Write from your heart, appreciate and reach out to other bloggers, and don’t judge your success by the numbers. 10. What are you most grateful for right this moment? That I’m more deeply aware that something greater is at work in my life. Now that I know I’m not alone, I don’t have to work up elaborate plans of action or worry about being good enough. I just show up with an authentic and loving intention – and that always seems to be appreciated. Nominate 10 other bloggers for this award that has less than 200 followers. Thanks to each of you for sharing your specialness via your blogs…each one is different, unique and inspiring. Keep up the good work! Be sure to click on the links above to check out their blogs and be inspired. 1. How would you sum up your blog in a single sentence? 2. If you could have dinner with two people, living or dead, who would they be and why? 3. Do you have a saying or a personal motto? 4. If you won the lottery, what would be the first thing you’d spend money on? 6. What’s the best advice you’ve ever been given? 7. What do you do to cheer yourself up when you’re feeling down? 8. If you could change one thing to help the environment what would that be? 9. What was your most embarrassing moment? 10. Who has been your greatest inspiration? I Love your blog ! please help to promote my blog too ! Thankyou ! Thankyou so much ! love your blog !